We often hear the term “bounce rate” being thrown around in online marketing, usually in a negative connotation because it means people are leaving our websites. Yes, as much as I do agree with the value of decreasing our bounce rate as much as we can, there is a lot more to the number than what’s on the surface. A high bounce rate does not necessarily mean it’s a bad thing. 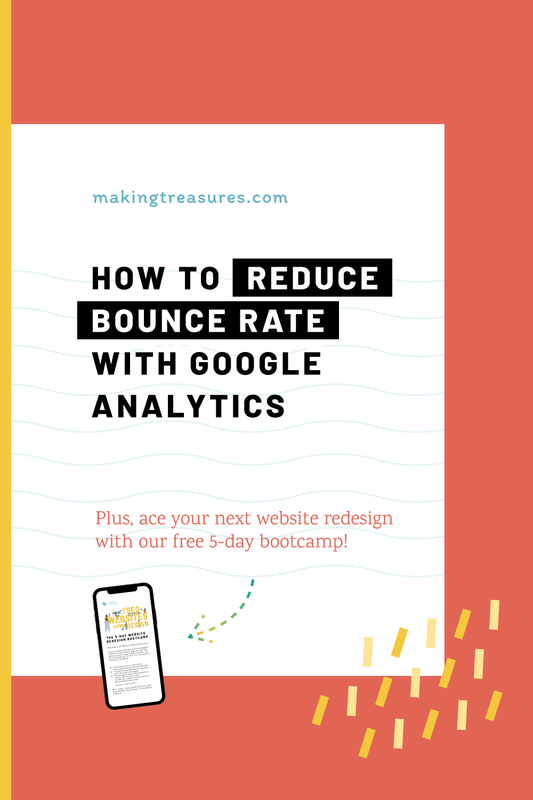 With the help of Google Analytics, we can finally look at our web metrics holistically to really understand the why behind our bounce rates and how we can use that understanding to improve it across the board. In Google Analytics, a bounce is a single user session where no actions were taken. In other words, when a user lands on a webpage and then leaves without interacting with your page (ie. clicking to another page on your blog or carrying out a tracked interaction/event on your page). Generally, when we see a high bounce rate (especially when it is over 70%), our natural reaction is that people are leaving our site because the page in question is a low-quality page. Unfortunately, this is a common misperception. What most of us fail to realize is that the bounce rate alone is not enough of a metric to judge the quality or performance of a webpage. 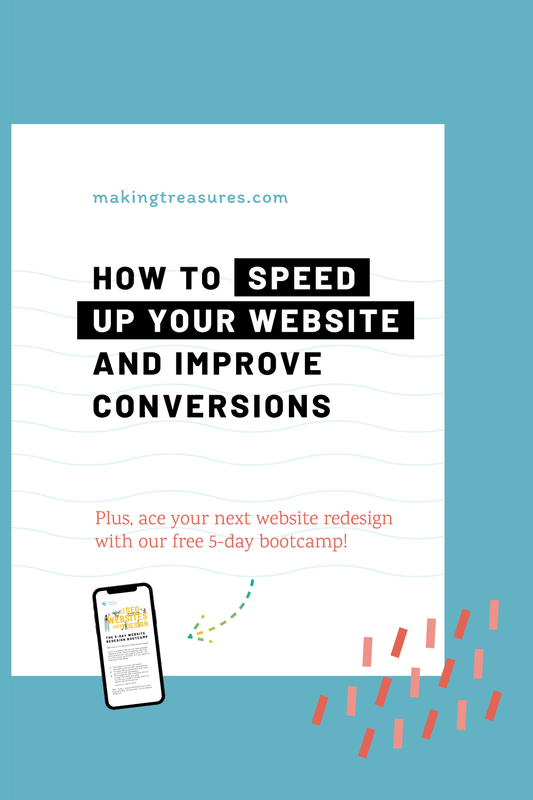 There are so many other factors that could play in how your webpage is performing, which we will discuss later on in this post. The bounce rate is merely a piece of the pie when it comes to evaluating our content quality. A high bounce rate = a high number of users leaving your page without interacting. A high bounce rate ≠ your content isn’t valuable. The industry benchmark for bounce rates when it comes to blogs is 70-98% (source). Why the high percentage you might wonder. Well, typically when people visit blogs, they are there because they are looking for a specific kind of content, such as a recipe, a how-to guide, or read an informative post. Chances are, they entered your blog through a particular blog post, rather than from the homepage. And once they are done reading that blog post, they are likely to leave, unless you have additional things for them to do. Depending on what the goal of your page is, a higher bounce rate might not be something you should be concerned about. Again, it is important to recognize that if the goal of your page was to serve a solution or information, people will drop out after they get their answers, in this case, a higher bounce rate might actually not be a bad thing. There is a way to capture more representative bounce rate for instances where people are staying on your blog instead of leaving. You will learn how to do this in the next section. On the other hand, if the goal of your page was to have the user complete an action, or to go to another page on your blog, a high bounce rate may be something to be concerned about. Either your call-to-actions are not obvious enough, or perhaps your page isn’t answering to the needs of your visitors. As we learned earlier, the default bounce rate in Google Analytics is determined based on any single user sessions where there were no subsequent actions after landing on the page. This means, even if the user had landed on an article of yours and took in all the value you provided in that post, the moment they drop out of the page, that user session will still count as a bounce because they only visited 1 page. You might be shocked that’s the case, seeing how they had read your entire blog post! Thankfully, we have a solution to this that weeds out the people who actually took in your content, the adjusted bounce rate. All it requires is a small tweak to your Google Analytics code to only track single user sessions over a certain time limit. For instance, with my blog, I modified my Google Analytics code to only count single user sessions under 20 seconds as bounces. I feel 20 seconds is a long enough time for people to understand whether they want to read the information on the page or not. Save and close the window. Step 8. If all looks good, click on the blue Submit button on the top right, and then Publish. Now that we understand a bit of what a bounce rate is and how we can set up better bounce rate metrics, let’s explore some of the ways it can help us serve better content and quality to our audiences. There is a slew of things we can check bounce rates against in Google Analytics. In this article, I will touch on 3 of the most useful ones I use to check my metrics against. My hope is by looking at my examples, you will be able to apply the same principles to evaluate your metrics. Inside Google Analytics, under All Web Site Data, click into Behavior > Site Content > All Pages for an overview of all your webpage metrics ranked by Pageviews. You’ll find your bounce rate metrics here, alongside your unique page views, average time spent on page, number of times that users entered and left your site through the said page, etc. To make our examples easier, let’s rank the list of pages by bounce rate so we can check metrics against it. The first highlighted row is my free SEO course landing page. The high bounce rate is not surprising to me as the intention of that page was simply to encourage people to opt-in to my mailing list. There are no call-to-actions to explore other parts of my site, nor are there any interactions users can engage with on the page. In the second highlighted row, you’ll notice it is a link to one of my top SEO tip blog posts. The purpose of this page is to offer value, at the same time serving additional related articles related to the same topic. Looking at the average time on the page I can tell people are reading my post, the low bounce rate may indicate most visitors clicks out of the page in a single session to explore other parts of the blog. This is most likely due to the related content section down at the bottom of the post, which prompts visitors to check out other articles on my blog when they are done reading the post. When I look at the metrics for my homepage on row 6, the bounce rate is close to 50%. This tells me 1 out of every 2 visits to the homepage ends with no further interactions within my blog. That’s pretty high, considering it is the homepage. As a result, I might look into promoting more opportunities for visitors to interact with or click off from the homepage to explore the rest of the site. Referral traffic is a very useful measurement to determine where your visitors are coming from. Whether they are coming from social networks, external websites, search engines, or perhaps directly. Taking a look at my referral traffic, I can see most of my traffic comes from direct sources (ie. entering my URL into their browser, via a bookmark, or via a link in an email or message). Direct traffic often indicates the visitor already know of my brand or my blog, they are less likely to leave after the initial visit because they are coming with the intention to learn more. On the other hand, if I look at my Pinterest traffic, 80% of the sessions end after the first page, that might seem high at first, but if we think about it, this percentage is likely due to the nature that most users on Pinterest are likely looking for specific answers to problems or are saving a blog post for later, hence they are only on the blog briefly to check if the post is worth saving first. In the latter example, a high bounce rate does not necessarily mean it’s bad. While in the first example, there are definitely opportunities to reduce that bounce rate, perhaps listing the major topics we talk about on our blog right on the homepage. Device metrics are not only great indicators of potential performance issues on your blog, but it also tells you the percentage of users that are accessing your blog via different screens. Most of us as creators typically view our blogs on the desktop, but how many of us actually test our blogs on mobile? Interestingly enough, most of my visitors browse my blog on the desktop, while visitors who do visit on mobile tend to leave after only a single session. To dig into these numbers deeper, I segmented the results further by adding a secondary dimension – social referrers. As you can see, visitors browsing in mobile typically come from social media sites like Pinterest and Instagram where only specific posts are promoted. Since these visitors are likely only looking for specific answers, they are less likely to browse the rest of the site after they get their answers. Depending on how you have narrowed down your reports, sometimes it might be worth adding additional dimensions into your results to further analyze the why and how behind a certain bounce rate, like what I did in my device analysis above. Enable adjusted bounce rates on your Google Analytics so people who are actually reading your content are not counted as a bounce. In addition, a high bounce rate may not be a negative thing depending on the goal of your pages. Lastly, always analyze bounce rates with other metrics and dimensions to determine possible improvements to make. Let me know in the comments what you are doing to improve your bounce rates, what other metrics do you look at?